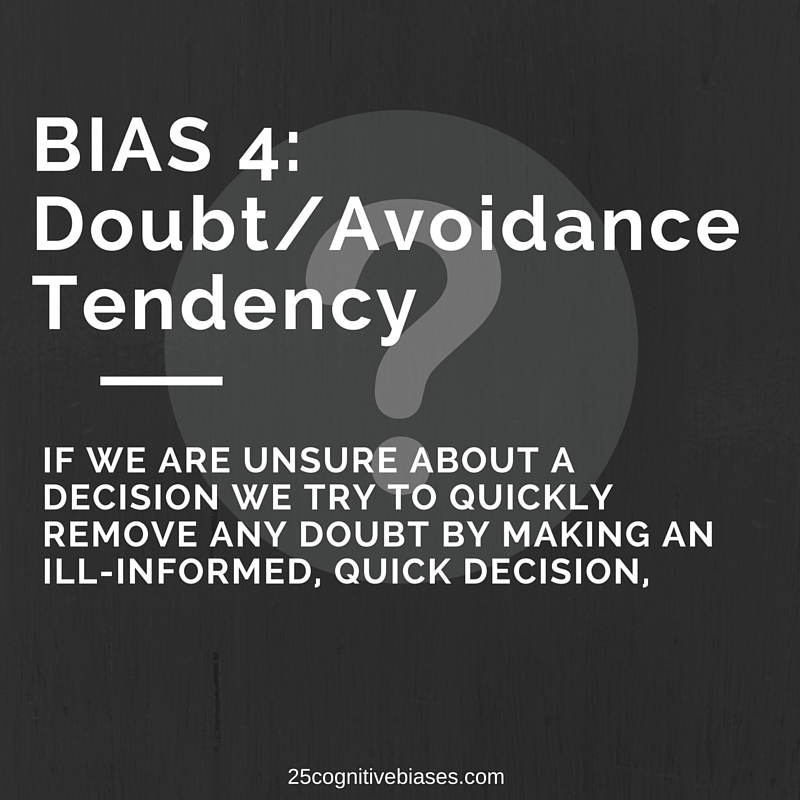 Bias 4 - Doubt-Avoidance Tendency | 25 Cognitive Biases - "The Psychology of Human Misjudgment"
This entry was posted in 25 Cognitive Biases, Bias 4 - Doubt-Avoidance Tendency and tagged Charlie Munger, Cognitive Bias, Doubt-Avoidance Tendency. To avoid this bias, next time when you decide to do something, DONT INSTANTLY believe that it’s the BEST POSSIBLE option for you to do at that exact moment in time. Discipline yourself to think before you act, even 50 milliseconds can make the difference between a life-changing decision etc. etc. to add to that, its better to slow down and grasp exactly what it is you’re going to strive to accomplish rather than rush yourself into making a decision and backing out at the last minute because you didn’t know your why for following through. You see a pretty girl. You walk towards her and as you’re about to approach her she turns and makes eye contact with you but you decide to look to the left and walk away…. 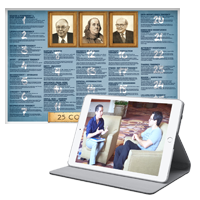 To avoid doubt / avoidance tendency fully plot out your plan so you can efficiently know what your next step is in business, life, success, school, relationships, etc. and that way you can master and conquer the doubt that you will inject to yourself and the doubt you create in others. and that way you can master and conquer the doubt…. I dont think so. Doubt situations often catch you by surprise and the worst ones often require immediate action often at a time when ur too stressed to avoid heuristic reaction based on very poor perception. If you just make a plan to avoud bias thinking life would be much simpler. So meditation/calmness/expect the unexpected/say predicament outloud etc. Might help decision process. Ya William, you are correct. 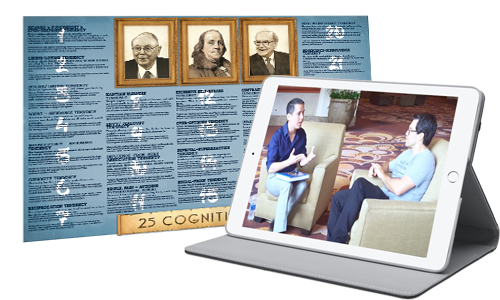 You have to go past the mind to truly rise above being controlled by the biases of the mind! A problem created at the level of the mind cannot be solved by the mind. You must rise above the mind so you can observe the mind and be the one in the drivers seat, thus being at a distance from the mind and able to pluck the ideas from the mind that serve you, and simply observe and smile at the ideas that are sabotage/distraction. It’s either be run by the mind, or you run things and as the mind as a tool when desired. Email me at [email protected] if you are interested in conversation!